Life with Squid – It's like your life, but with squid! It's like your life, but with squid! To all of you who have been with me on this grand journey: Thank you! The four and a half years it has taken to walk through this story each Monday have been wonderful, and I thank each of you who have made that walk with me. 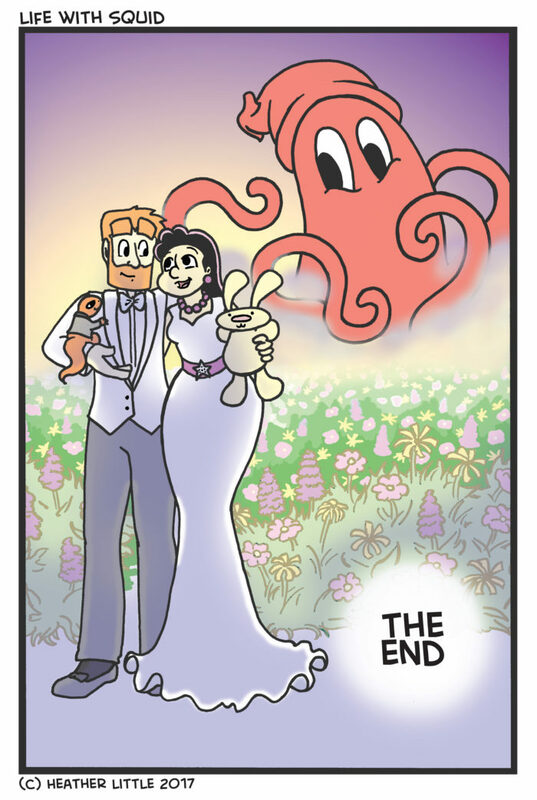 It’s been a rewarding, challenging, and humbling experience to create this comic each week, so coming to the end of the story is truly a bittersweet moment. Thank you for the opportunity to bring you joy, laughter, and, of course, squid. Congratulations! Can’t wait for the next comic.